I woke to a rainy morning, rolled over and went back to sleep. Maybe later I will do a walk about. 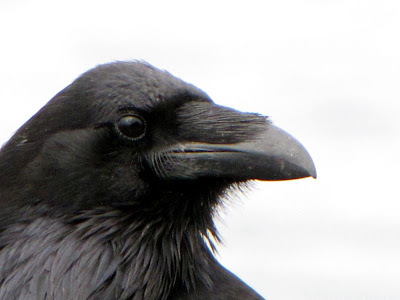 Meanwhile, here is another photo of that veteran Raven I saw last Friday. What a guy!! They are kinda likable, aren't they. This guy looks "wise"